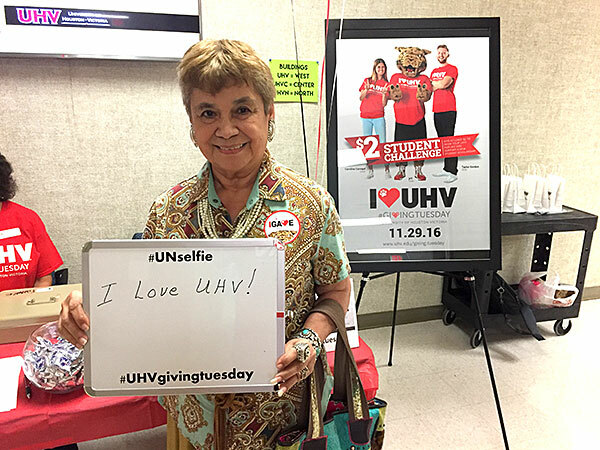 UHV alumna Josie Rivera shares her reason for supporting the University of Houston-Victoria by donating during the 2016 Giving Tuesday event. Giving Tuesday was one of several initiatives that contributed to UHV’s record-breaking year of giving during 2016-2017. For the second year in a row, the University of Houston-Victoria has enjoyed a banner year of giving. The university reached a new high in 2016-2017 with 931 unique donors giving $1.1 million. The number of donors and the amount given outpaced 2015-2016 by 27 percent more donors and 36 percent more money donated. The growing support of UHV was reflected in several areas. Of the individual donors, a record-breaking 546 were alumni, 24 percent more than in 2015-2016. In addition, the university saw an all-time high of 189 faculty, staff and administrators take part in the 2016-2017 One For All, All For One employee giving campaign and raise $78,919, a 27 percent increase from the previous fiscal year. Another increase in support came from the Katy area. UHV opened its Katy teaching center in August 2016. Since then, the number of donations from individuals in the Katy area has risen from 17 in 2015-2016 to 42 in 2016-2017. Contributions to the university went to 106 different designations, including scholarships, department excellence funds, donations to specific projects and more. 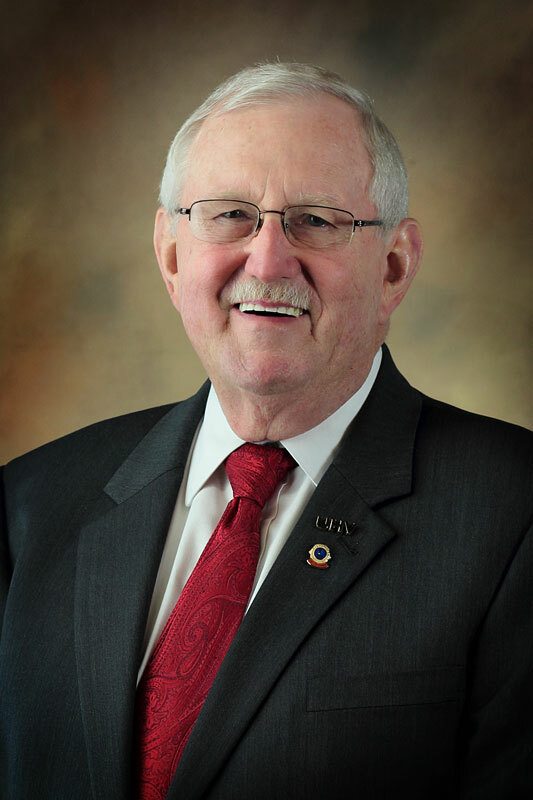 The two most popular designations were the UHV School of Business Administration and the UHV General Scholarship Fund, Pisors said. The 2018 fiscal year, which began Sept. 1, is off to a strong start thanks to the university’s second annual Giving Tuesday, which encouraged university employees, students and community members to contribute on the Tuesday after Thanksgiving. A total of 220 people, up from 144 last year, contributed $15,375 as part of the campaign. To learn more about donating to UHV, contact University Advancement at 361-570-4812 or makeagift@uhv.edu.